We had feedback from some clubs, social riding groups, and groups of friends who were really wanting to unite all their people into one team, see their stats (collectively and individually), encourage each other to ride, and, in some cases, to compete against each other and with other clubs/groups. Therefore, you can now join or register a club or social riding group on Love to Ride! 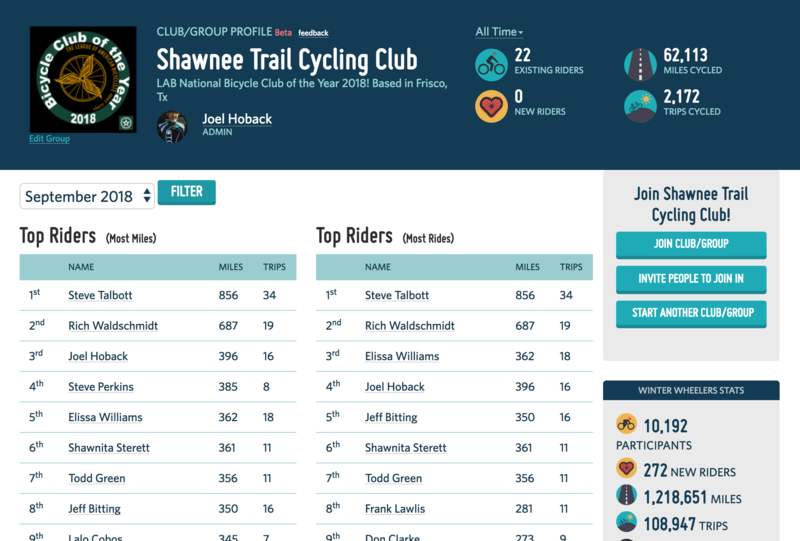 Your cycling club/group page will be available year round and you'll have internal leaderboards for most miles, most trips, most commutes, etc. You can also filter these stats so you can see the top riders each month/year. 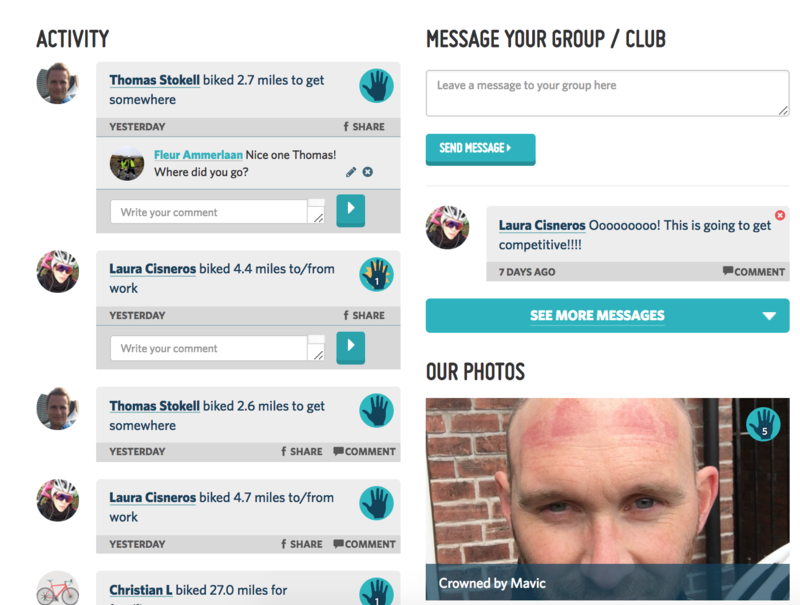 You can personalise your club profile, upload photos, high-five your team-mates for riding, invite people to join and message your team to spur on inter-club competition... as well as compete against other clubs/groups on Love to Ride! Follow the instructions to join or register. See you in the saddle!